SAP Fiori Overview Page (OVP) is the latest interaction in SAP Fiori UX. It presents a new way of visualizing data to the business users by provides real time insights in the form of cards. This allows users to gain insights into the bigger picture allowing faster decision making. 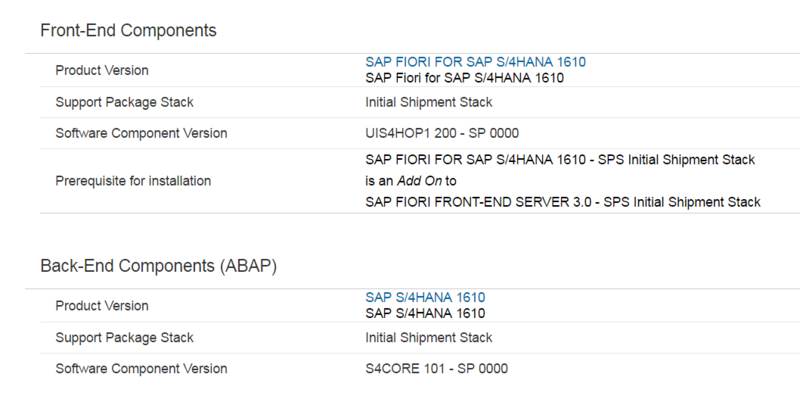 This page will help you setup the standard SAP Fiori Procurement Overview Page which SAP has released as part of S4 HANA 1610. The main objective is to setup the Procurement Overview Page end-to-end with the complete set of functioning drill down applications. 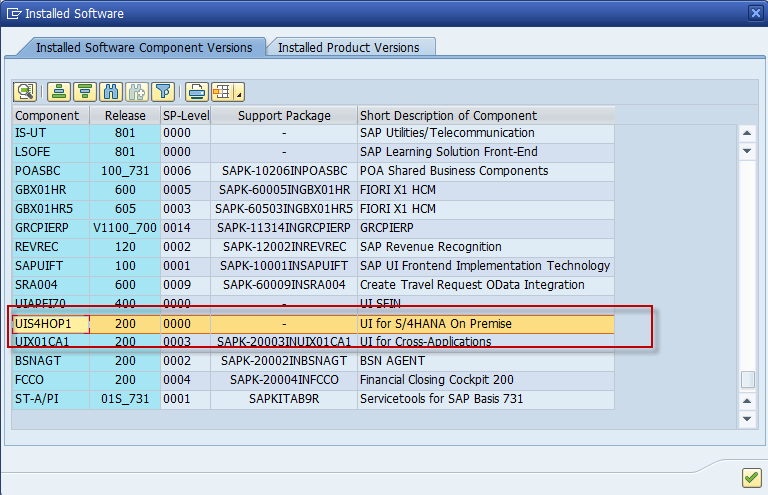 a) This app is available only for S4 HANA 1610. Snapshot from Fiori Apps Library page. 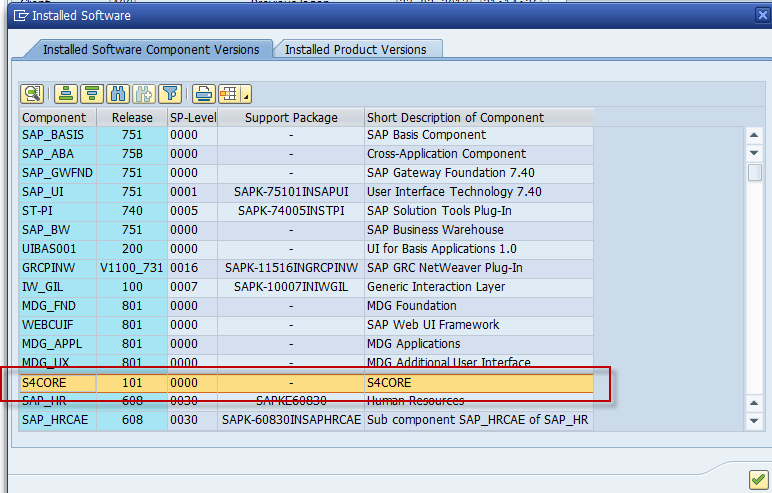 In order to get the Procurement Overview Page up and running, you need to activate the following SAPUI5 applications. The list include the associated SAPUI5 applications for the drill down apps from the Procurement Overview Page. These SAPUI5 application can be activated manually through SICF transaction. But since manually activating then would be a time consuming activity, you can instead leverage the standard task list SAP_BASIS_ACTIVATE_ICF_NODES to activate all of them in one shot. Below are the steps. 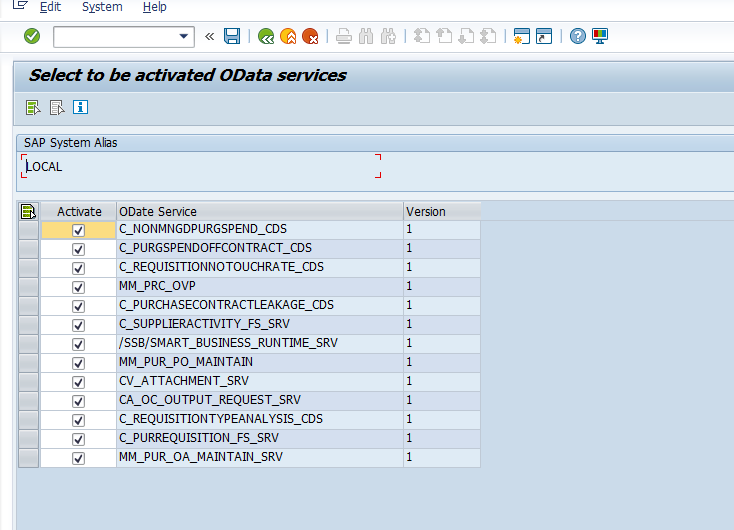 In order to get the Procurement Overview Page up and running end-to-end, you need to activate the following OData services. The list includes the associated OData services for the drill down apps from the Procurement Overview Page. These OData services can be activated manually through /IWFND/MAINT_SERVICE transaction. But since manually activating then would be a time consuming activity, you can leverage the standard task list SAP_GATEWAY_ACTIVATE_ODATA_SERV. Below are the steps. 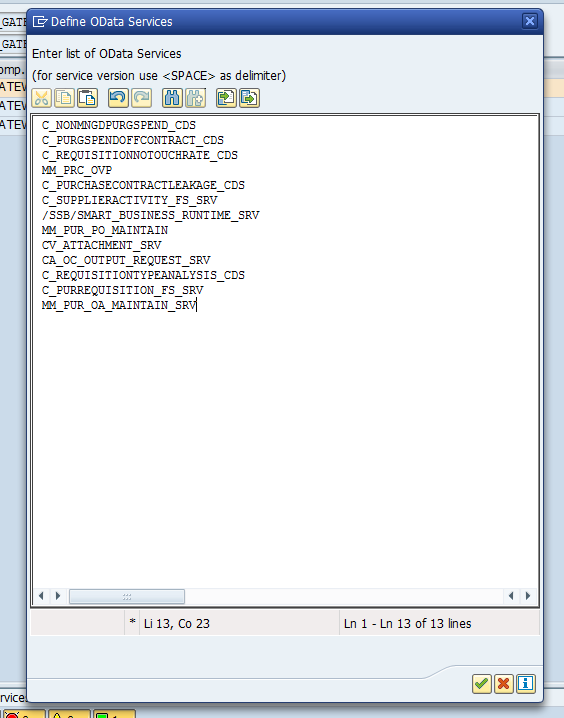 Generate Task list run for SAP_GATEWAY_ACTIVATE_ODATA_SERV in transaction STC01. Assign the following 2 standard PFCG roles to the end user in the Frontend server. Both these roles are essential for the Overview Page to work end-to-end with all the drill-down applications. When you click on each of the card, it should drill down to the corresponding Transactional / Smart Business Analytical application. Good! Thank you for the explanation! Does anybody know if it’s possible to maintain the OVP by selecting only the cards that are applicable to the organisation. Yes, each user with access could tailor their OVP by hiding what they don’t use; I’m wondering if it’s possible to do this via config, on behalf of the user? I doubt if there is any config and if not, I am sure it will be nice feedback to SAP to implement that going forward for all their overview page Apps. For now, I am guessing that extending the SAPUI5 application for the overview page is the only option. A very well written step by step guide, thanks for detailing the UI5 and OData services for the associated apps in the overview page. I am using 1610 FPS01 version. I have done all settings. However, I am not getting the “Procurement Overview Page” Tile. I looked for it in App finder as well. Is there any other setting required to get the App”Procurement Overview Page”? Even I am facing the same issue. Where you able to resolve this Shrikant ? Add this catalog and group to your role. How can I solve this issue? Could you please help me ?